Google could be making its first serious move into the mobile operator space as rumours suggest it's looking to launch a new project known only as "Nova". Google is plotting out an mobile virtual network operator service that could run on the networks of Sprint or T-Mobile. That's a similar approach to other companies in US like Straight Talk, MetroPCS or Virgin Mobile but the rumours suggest the point of the "experiment" is to push down prices and improve the experiences customers have with their wireless networks. It's also pushing for access to unused 3.5GHz spectrum that could be used for a small cell network in large cities and operates outside the more expensive bands licensed to major cellular networks. Rolling out mobile service on existing infrastructure, Google could launch in many places all at once. It would still rely on its competitors to make the whole thing work. It's the kind of thing such rumours have suggested Google wanted ever since it launched Android with the G1. Phone calls would, according to Android Police, take place through Google's Hangouts app. This would handle calls and texts across Google's data-only network. The experience would be equivalent to a standard phonecall except, instead of utilising a phone network plan, Nova would offer unlimited mobile data and allow calls over WiFi too. While mobile LTE (Long-term evolution communication standard providing fast internet on mobile devices) coverage in the US is far from a problem, consumers are faced with pricey mobile subscriptions by international standards, while the uptake of fixed-line broadband is expected to remain low in the country. According to analyst firm Ovum, US high-speed broadband usage relative to other nations is set to decline over the coming two years due to these two factors. The big difference between other mobile virtual networks operators and Google is likely to be that, just as with Android, it may not put direct profit first and foremost for the endeavour. As long as it provides more consumers with wireless access, Google will support its main business of selling ads. Can it disrupt the market for big telecom companies? Not a huge amount is known about how Google intends to package its product, other than the fact the project is codenamed 'Nova' and will likely launch this year under the leadership of Google exec Nick Fox as part of an effort to transform the US wireless market. "Does Google have enough revenues and margins to pass on to customers in the form of subsidised access to the internet? Probably not, but if they see the access market becoming a barrier to their core business, they have to do something about it," he said. According to the Wall Street Journal, Google has two separate contracts with T-Mobile and Sprint. 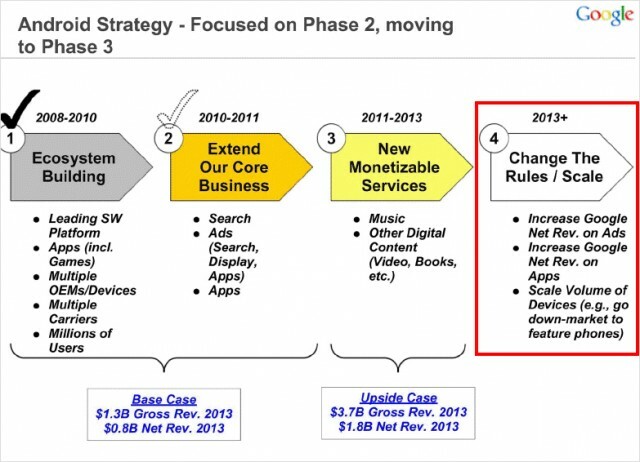 The deal with sprint has a "volume trigger" that would force the companies to renegotiate if Google's customer base breaches a certain level. "Clearly, their move could potentially be a hugely disruptive one. Sprint and T-mobile have no interest in seeing their own market being severely discounted by Google." Back in May 2014 Google was planning to offers subsidized, commercial-grade Wi-Fi hardware to small and medium-sized businesses, alongside software to help greatly improve the quality of the Wi-Fi experience at places like doctorsâ€™ offices, restaurants, gyms and more. The hardware would be the only cost involved, as it would use the businessesâ€™ existing Internet connections, unlike the Google-provided Wi-Fi networks running at Starbucks businesses across the U.S. The company's ultimate goal is to have a ring of balloons circling the Earth, bringing internet to the estimated two-thirds of people who are presently unwired. The company was to test-fly 20 balloons in western Queensland in December 2014 in partnership with Telstra. It's the latest step in Project Loon, Google's plan to beam internet to remote parts of the world via helium balloons that circle the globe on stratospheric winds. The balloons carry antennas that can beam 4G-like signals to homes and phones 20km below. Google's Scott Jenson, an interaction and UX designer who left the company only to return to the Chrome team in November 2014, has revealed a project underway at the company called The Physical Web to provide "interaction on demand" so that people can walk up and use any smart devices without the need for intervening mobile apps. This would make it possible for users to simply walk up to a bus stop and receive the time until the next arriving bus, without any additional software needed. "People should be able to walk up to any smart device â€“ a vending machine, a poster, a toy, a bus stop, a rental car â€“ and not have to download an app first," Jenson explains on the Physical Web project page. "Everything should be just a tap away." Google's generous budget for all that playing with stuff enables to tap in loads of dreams. It is pursuing ambitious projects such as driverless cars, project Loon mentioned above, anti-ageing projects and projects in healthcare, and of course ROBOTTS… Sometimes it seems that commercial restrictions do not apply for Google and only sky is the limit.